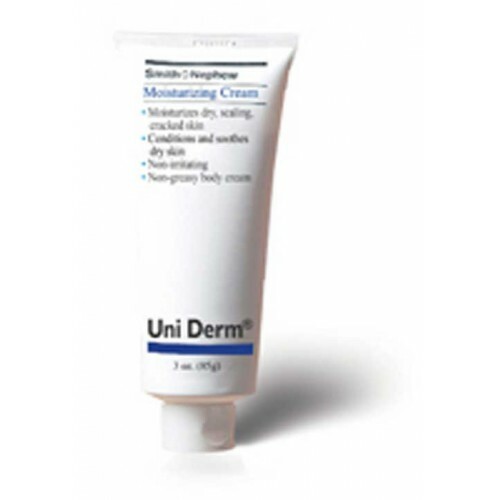 Uniderm Moisturizing Cream, by Smith and Nephew is a prescription-strength, medical-grade moisturizing cream which features a unique combination of emollients which allow it be non-irritating, non-sensitizing, and non-toxic, ensuring confidence in each use, making it a favorite of oncologists and dermatologists everywhere. This high quality cream can be used all-over the body to condition and moisturize dry skin. The water-based pH formula smooths on easily and quickly vanishes into the skin, leaving no greasy residue or stain. 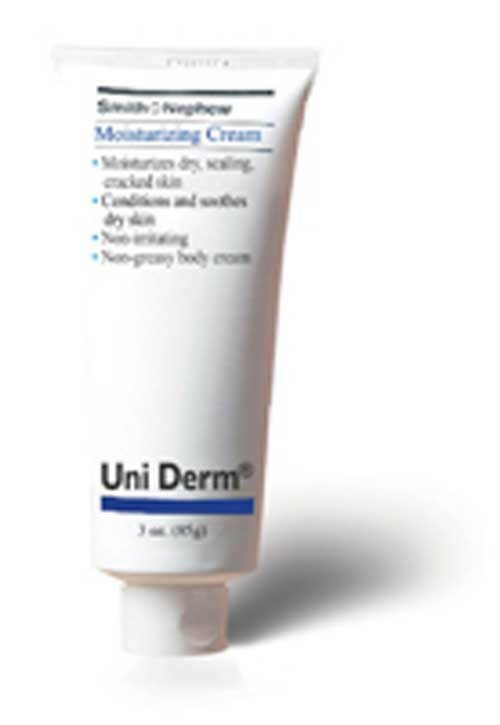 Uniderm Moisturizing Cream is strong enough to provide a grease-free treatment for eczema, minor burns, and skin irritations and breakdowns caused by dryness and small cuts. Uniderm is also perfect for preventing pressure ulcers that can commonly result from dry, flaky, or scaling skin. Vitality Medical also carries other moisturizing creams, such as Critic Aid Skin Paste and Secura Moisturizing Cream. Rehydrates and Moisturizes Dry, Scaling and Cracked Skin. Preserves Skin's Natural Acid Mantle.